Nicole is a councillor at the City of Melville, a role which she has had since 2009. 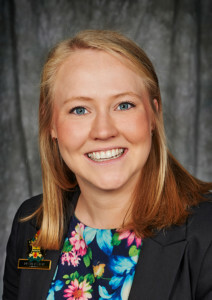 During her time as a member of the council, Nicole has served as the Deputy Mayor and has served on numerous internal and external committees. Current committee membership includes the Governance Committee, the Joint Development Assessment Panel and the Safer Melville Advisory Committee. Nicole is passionate about community and loves to see various organisations across different sectors working together to contribute to society in meaningful ways. As a Mathematics teacher at a local secondary College, Nicole is a committed educator who enjoyed seeing students actively engaged in the pursuit of knowledge and understanding. As a local resident and past student of Kardinya Primary school, Nicole holds a Bachelor of Science from Murdoch University, with majors in Chemistry and Mathematics & Statistics. She also holds a Graduate Diploma of Secondary Education from Edith Cowan University. Nicole has recently completed the Advanced Leadership Program through the National Excellence in School Leadership Initiative (NESLI). She is also a member of the Australian Institute of Company Directors (AICD).